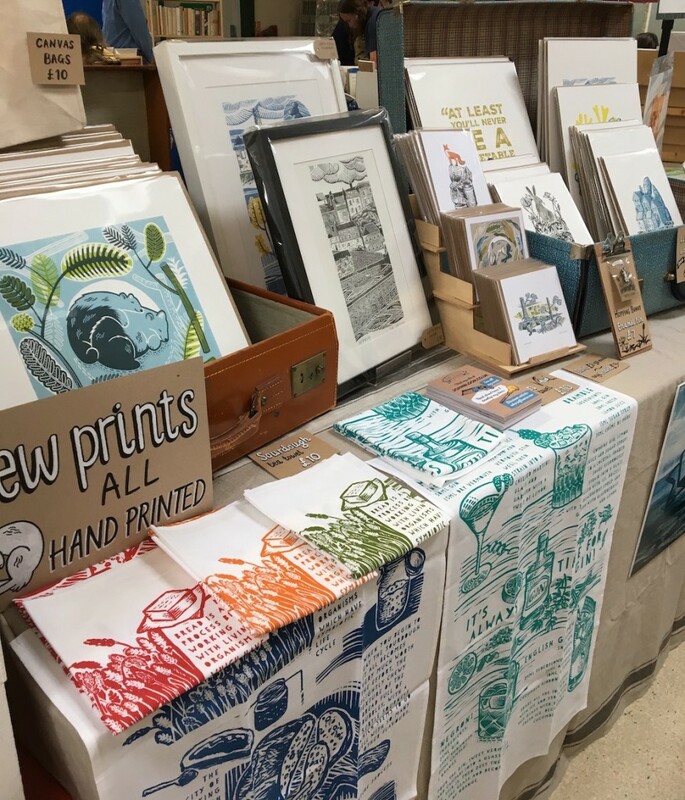 On Saturday I was supporting and assisting John at the first Southampton Wayzgoose Print Fair, it was quite a novelty not having to do any set-up of my own stuff and be there just for him, and eye-opening too. It was full on throughout the day, with lots of lovely customers and incredibly positive feedback for John, and sales across a variety of items which was very encouraging for him. 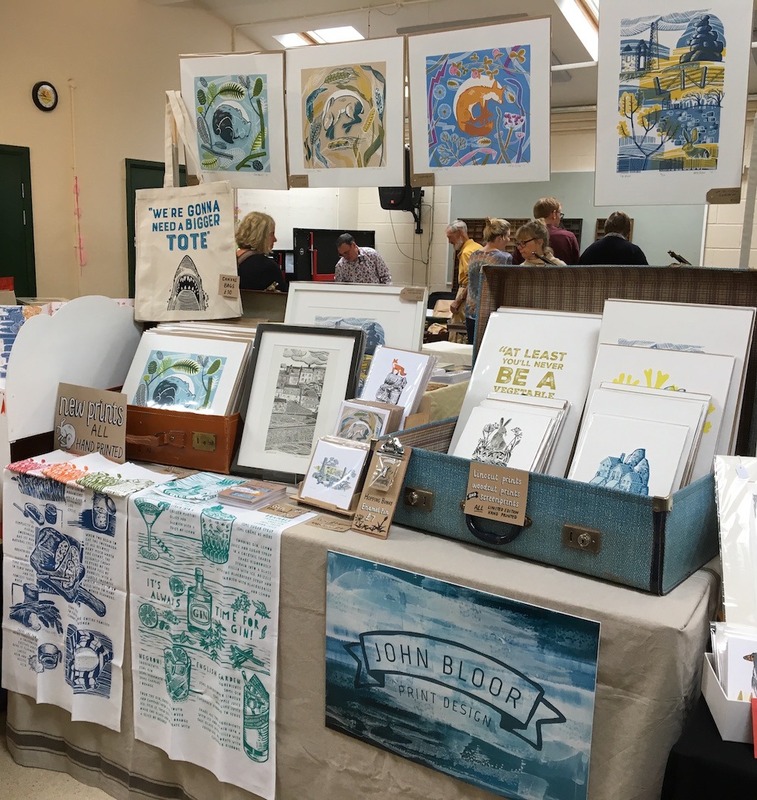 The eye-opening comments for me were comments which basically inferred that that printmaking is more original, diverse and that the event on Saturday was more interesting, creative and stimulating than ‘craft’ events. I was really taken back by that, and later on during a chat with a printmaker, we discussed this, he suggested that printmaking has an air of mystery to it, because people either can’t create it at home or don’t understand how it’s created. Maybe this is why I love ceramics as much as I do, I cannot make them because I don’t have the equipment or the training, and I love the thought of how they are made and the creativity that goes into it. Making textiles, especially what I make, is something that most people can do, either by hand sewing, or using a machine, what is it that makes my work different, unique or magical? I’m not sure I know anymore, especially now I’m working mainly with the printed fabric that John creates for me. People don’t stand in front of Johns stand and discuss how easy it is to make, and how they can make it at home, they just buy it. By the way, I’m not moaning at all, I’m so proud of John and what he has achieved and will continue to do, but I have to question what I do, how I do it, and why do people buy my work? It is very easy for people to comment that they could make that at home, but they haven’t because they haven’t thought of the idea before seeing what you have created. Using bespoke fabric, hand printed with love sets you further apart. You have hit the nail on the head. Sewing is something familiar and people feel they could do it easily and not see the hours of design process that produces something that looks simple but is really a well executed design. Maybe instead of using his printed fabric, you could collaborate with is designs being inspired by your stitch?